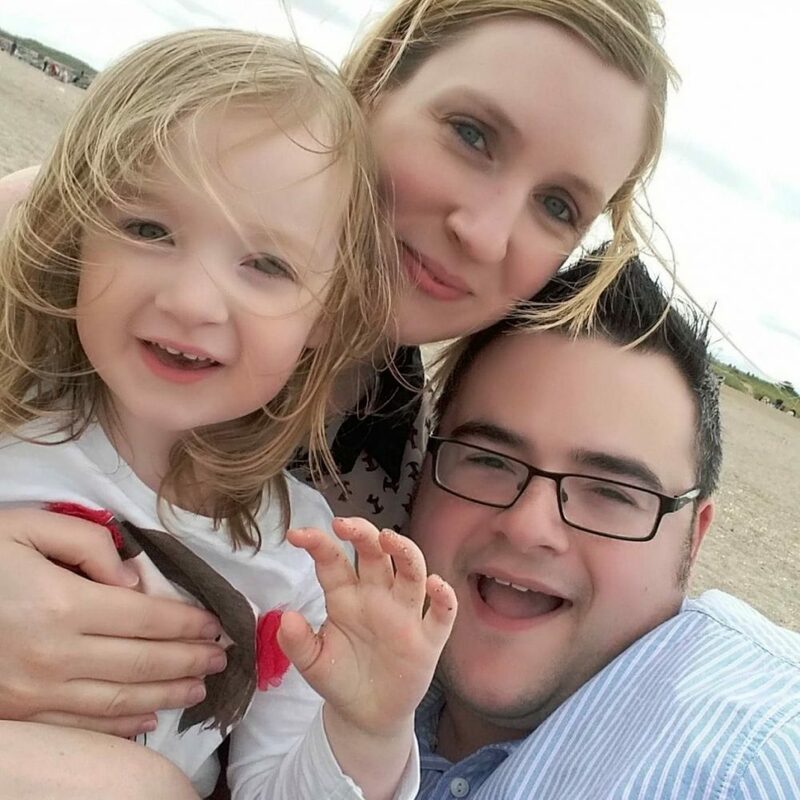 With Mia’s 3rd birthday coming up on 1st May, we were in the middle of trying to organise her birthday party when I noticed an advert online, looking for bloggers to review a Party Pack by Party Bags & Supplies. 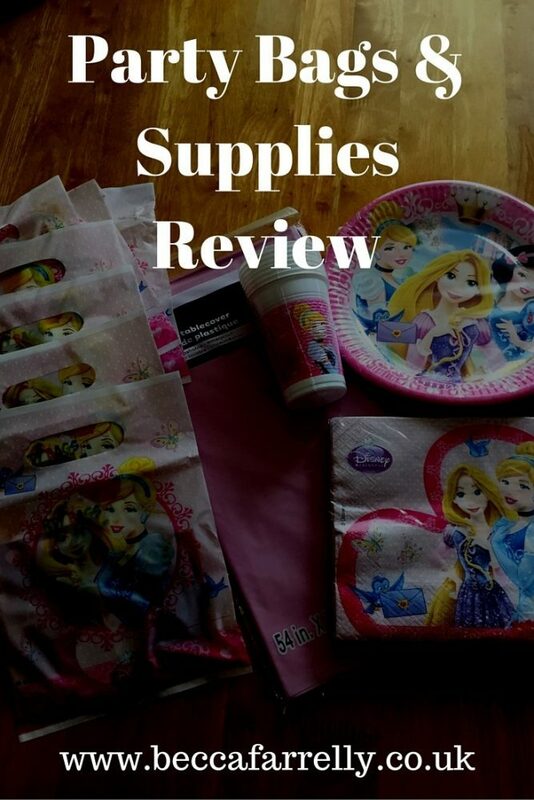 We were really lucky enough to be picked to do a review and once we had picked Mia’s Disney Princess themed pack, we eagerly awaited its delivery! Party Bags & Supplies are online specialist party suppliers of children’s and adults party supplies for all occasions. Located in Littlehampton, they provide everything you would ever need to throw a successful party. There is a massive range of themes to choose from so no matter what kind of party you are throwing, they would be able to cater for whatever you need! We were able to pick from a range of Party Packs to review and so we decided there and then that Mia’s party would be Disney Princess themed. The Party Pack we chose was the Disney Princess Sparkle Party Pack for 8 and inside was; 8 pre-filled party bags, pink tablecloth, 8 Disney Princess cups, 8 plates, and 20 napkins. Included in each of the 8 pre-filled party bags were; princess stickers, a princess wand, a princess mirror, and Haribo sweets. We really liked the Princess design and the table looked really pretty all done up in matching tableware. The party bags are already filled with the contents so I literally had to just put them in the box to take straight to the party and add a piece of cake each! I would have liked another item in the party bags but that’s my personal preference and there was certainly no complaining from the girls! Mia loved her party bag and so did all of her friends, they loved being Princesses for the day! The Party Pack itself is really good value as the contents would have cost far more if we had bought them separately. The pack costs £28 and although I added some more plates and cups in case there wasn’t enough, it meant that we had all of the tableware and party bags for around £30! Standard delivery is £3.99 or you can order using express delivery for £5.95. There is also the option to pick up your order directly from them if local to Littlehampton. Our order arrived really quickly, with no issues and they kept me fully updated throughout the order and delivery process. Ordering from Party Bags & Supplies really took the hassle out of organising Mia’s birthday party! I didn’t have to choose the contents of each party bag myself and I didn’t have to match them up to the tableware myself. It saved me lots of time and effort and I would definitely order from them again!